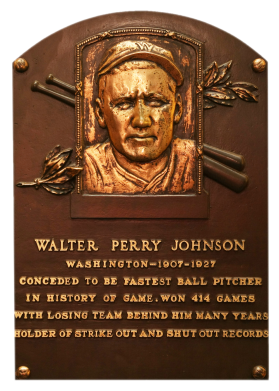 One of the first five men elected to the Hall, Walter Johnson's legendary fastball and pinpoint control enabled him to win 417 games (second on the all-time list) with the usually inferior Senators. In his 20-year career, "The Big Train" led the AL in strikeouts 12 times, shutouts seven times, and in victories six times. Johnson's 110 shutouts are the most in history. "Barney" ended his career with a 2.16 ERA, 531 complete games, and 5,924 innings pitched. 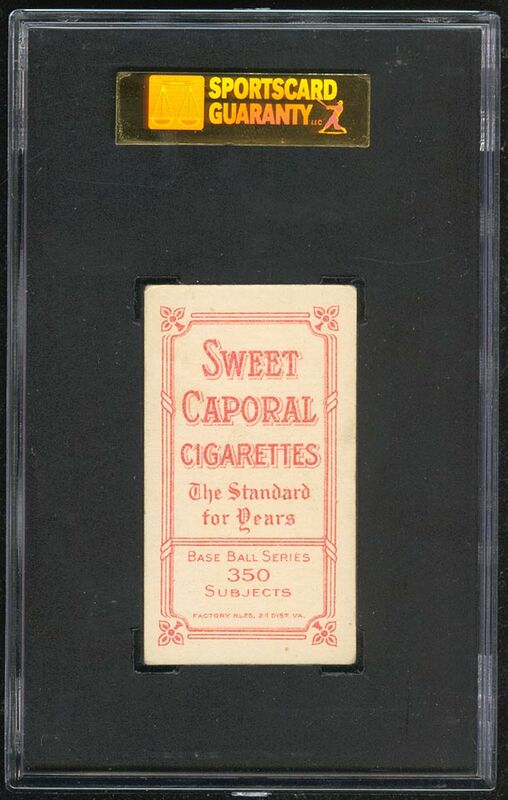 Comments: For a long time, this slot was occupied by a 1960 Fleer PSA 8 tribute card purchased on eBay in January,2000. 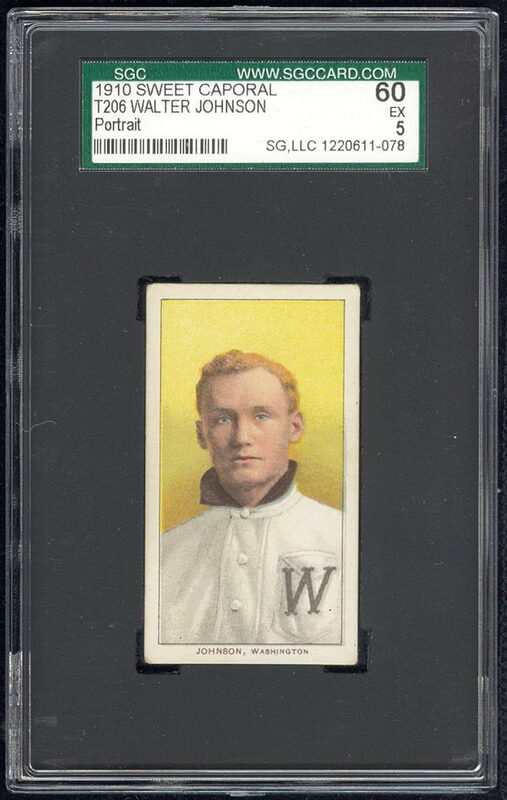 I replaced it with an issue contemporary to the Big Train's career - a 1909 T206 PSA 3 in July, 2004. Then, in November, 2005 Jason Zapp sold me this SGC 60 example after I won his eBay auction.